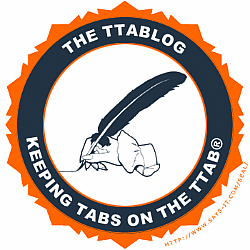 The TTABlog®: TTABlog Test: How Did These Three Section 2(d) Appeals Turn Out? TTABlog Test: How Did These Three Section 2(d) Appeals Turn Out? Here are three recent Board decisions in Section 2(d) appeals. I'm not giving any hints, so you're on your own, buddy. How do you think these appeals turned out? [Answer in first comment]. In re Yang, Serial No. 87183891 (January 25, 2019) [not precedential] (Opinion by Judge Linda A. Kuczma). [Section 2(d) refusal of FURY OFF ROAD for "tires" [OFF ROAD disclaimed] in view of the registered mark GOLDEN FURY, also for tires]. In re Lawrence Charles, Serial No. 87297780 (January 25, 2019)[not precedential] (Opinion by Judge Cindy B. Greenbaum). [Section 2(d) refusal of TEABLY for "Tea-based beverages" in light of the registered mark TEABLEE for "Houseware and glass products, namely, items used in the preparation or presentation of tea namely, coffee cups, tea cups, and mugs, drip mats for tea, tea infusers, infusers not of precious metal, tea strainers, tea balls, tea balls not of precious metal, tea caddies, tea canisters, tea sets; utensils used in the preparation of tea; Household utensils, namely; swizzle sticks, slotted spoons, mixing spoons; drinking vessels; drinking straws of non-precious metal; drinking straws of wood"]. In re RRRAWI Corp., Serial No. 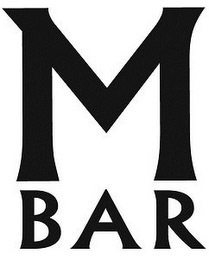 86767410 [Section 2(d) refusal to register the mark MBAR for “restaurant and bar services” in view of the registered mark M BAR in the stylized from shown below, for “restaurant and bar services, excluding Italian cuisine and macrobiotic cuisine"]. Read comments and post your comment here. TTABlog comment: How did you do? Any WYHAs? Text Copyright John L. Welch 2019. All three refusals were affirmed. That was pretty obvious - they are all WYHA! As I suspected...not that I am ever sure what they will do. Now that the previous WYHA king has been excluded from practice before the almighty USPTO, who will pull the sword from the proverbial stone and become the new king or queen of hopeless appeals? Or is it the champion of the masses (of trademark applicants)? Fraud and the TTAB: What Hath Bose Wrought? The Ten Worst TTAB Decisions of 2005?